These days almost every wedding photographer is going to have another photographer, or 2nd shooter, with them while they’re photographing a wedding. Being a second shooter is one of the toughest and most underpaid photography jobs you can get. It’s also one of the most educational and fun photography gigs you can get. Interested? Let’s first ask the question, “Why second shoot a wedding”? The answer will be different for everyone, but in my experience there are a few main reasons people want to do it. For people who haven’t photographed many weddings, they’re looking for work to add to their portfolio. They might also be looking for experience with different types of weddings and a variety of venues. Money is always a strong motivator and some people choose to second shoot weddings as a way to earn a little extra income on their days off. Finally, most photographers I know love to second shoot weddings because it’s fun! Although second shooting a wedding is a lot of fun, it’s not easy. You’re typically working just as many hours and just as hard as the main photographer. This means that you’re on your feet for 8-10 hours with few (if any) breaks. You’re trying to remember names. You’re hyper-aware of what’s going on around you at all times. You’re trying to stay out of the main photographer’s way while still getting good photos. 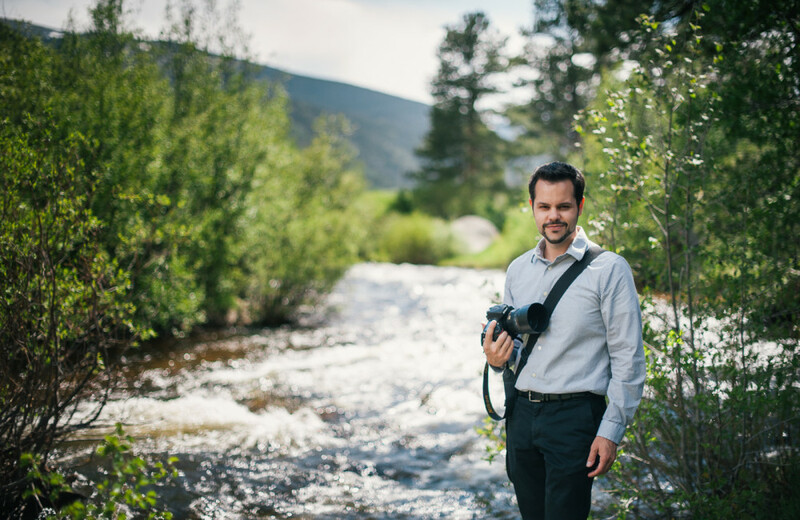 You’re making sure that the main shooter has everything she needs while also taking care of the bride and groom’s needs (as well as the wedding party, the family, the wedding planner, the DJ, etc…). Keep in mind, you’re doing all of this while photographing a wedding… a living, breathing, unpredictable, ever-changing event that will never happen again. Knowing why you want to second shoot a wedding is useful and having an idea of what to expect is important, but neither one helps you a bit if you don’t have a wedding to second shoot. Fortunately, technology makes it incredibly easy to reach out to your local community of photographers to see who needs a second shooter. If you’re a member of any photography forums, check to see if there is a board where you can find photographers who are looking for help or where you can let everyone know that you’re interested in second shooting. Most cities should have Facebook groups where local photographers chat. Find and join one for your city and you’ll probably find photographers who are looking for second shooters. Finally, get out there and meet some people! Go to local meetups and networking events. Let people know that you’re interested in second shooting. If you can make a good impression in person, you’ll probably be one of the first people to come to mind when it’s time to find a 2nd shooter. So, what do you do once you finally get a second shooting gig? What shouldn’t you do? Here is my list of 5 Dos and 5 Don’ts for 2nd shooting a wedding. 1. Do make sure that you discuss as many details as possible with the main photographer. I’m not just talking about wedding details, although you do need to make sure you know where to go, when to be there, what to wear, etc… I’m also talking about details like what are you going to get paid? What are your usage rights for the images you shoot? Is there a contract for you to sign? Are you driving separately and, if so, are you getting reimbursed for mileage? How and when will you deliver images to the main photographer? Working out these details before the day of the wedding will make things go much more smoothly and should clear up any potential confusion before you ever take a single photograph. 2. Do make sure that you take care of the main photographer while you’re at the wedding. Although your main job might be helping to photograph the wedding, you are also expected to be an assistant throughout the day. If there’s anything to carry, offer to carry it. If you’re thirsty, grab a glass of water for the main photographer as well. Ask what the photographer needs. If you can be helpful without being in the way, you’ll be doing your part to make the day run smoothly. 3. Do be ready to step outside of your comfort zone. Whether it’s at the request of the venue or in an attempt to complement the main photographer’s style, chances are you’ll do at least one thing that will take you out of your comfort zone. Embrace this opportunity to try new things. Maybe you can’t use flash in the church. Maybe you have to shoot from the bushes. Hate being in front of the camera? Chances are you’ll be a test subject at some point during the day (like I was in the above photo while 2nd shooting for Joni Schrantz up at Wild Basin Lodge). Maybe it’s not even something photography related, like rounding up family members for photos! One of the best things about second shooting a wedding is that you’re expected to take a few chances, to find new angles, to not shoot the “safe” shot that the main photographer is getting. Make the most of it! 4. Do ask first if you have an idea you want to shoot. Many wedding photographers I’ve worked with welcome creative input from their second shooters. Not only does it give them something different from what they are used to shooting, but it also gives them a short mental break during the day. If you’re asked for ideas and you have something to offer, take the opportunity to strut your stuff! If you see something that you think would make a great shot, quietly mention it to the main photographer and let her decide if it’s something she wants to try. 5. Shoot, shoot, shoot! It’s so easy to get wrapped up in the excitement of a wedding, especially if you haven’t been to many, but don’t forget that you’re there for one thing: to photograph what’s happening! If there’s a lot going on, it’s easy to snap away, but what if there’s not a lot happening? Look for emotion, interaction or just details that are unique to the day. A nice shot of Uncle Bob laughing or the flowers that were blooming on their wedding day might be just the kind of scene-setting image a couple loves, even if they didn’t know they wanted it. 6. Don’t get in the way of the main photographer. As photographers, it’s our instinct to get the best shot. Be careful when you’re second shooting, though. The main photographer is trying to get the best shot as well, so you need to find a different place to shoot from. It’s good to always keep an eye on the main photographer and try to do the opposite of what they’re doing. Are they photographing the bride? You photograph the groom. Are they concentrating on the couple? You might grab a few photos of the family. Just be aware of what the main photographer is doing and try not to end up in any photos (or, even worse, cause the main photographer to miss any photos). 7. Don’t hand out your own business cards. When a guest walks up to you and tells you that they think you’re doing a great job and their daughter is probably going to get married and will need a good photographer, it’s tempting to hand them one of your own business cards. Don’t! What they’re actually telling you is that they think the photographers are doing a great job, as in the person who was hired to photograph the wedding, as in not you. This is one sure way to make sure you get blacklisted from second shooting with the main photographer and any of his friends. 8. Don’t blog or post any photos online before the main photographer does. Sure, family and friends are posting photos on Facebook the same day as the wedding, but the photos that everyone is really waiting to see are the professional photos. If you put them online before the main photographer, you’re stealing one of the most effective marketing tools a photographer has. Those pictures on Facebook and that blog post are very important to the main photographer and can be a significant source of leads. 9. Don’t treat it like your own wedding. I’m not saying that you shouldn’t be a professional, work hard and do your best. You should! Instead, understand that not everyone will photograph a wedding the same way you might. Not everyone will interact with guests the same way you might. Not everyone will dress the same or eat the same or do anything the same way you might! So don’t treat a wedding that you’re second shooting like your own wedding. Treat it as an opportunity to see how another photographer works. Treat it as an excuse to try something new. 10. Don’t take it too lightly. You are photographing a wedding. A once in a lifetime event. Someone’s big day. Weddings are unpredictable. They are long. They are hard work. There are no second chances. By all means, have fun, celebrate, take chances and learn something, but don’t think that what you’re doing isn’t important or doesn’t matter, because it does. Even if the main photographer doesn’t seem very into the wedding (maybe it’s his 3rd wedding of the weekend or maybe she’s been photographing weddings forever and it’s just another wedding to her), always be aware ready to shoot. You might just capture something special that the main photographer would have missed. Still interested? Sound like fun? Then go for it! Get out there and start 2nd shooting some weddings. Best of luck to you! Brittany and Kendric Got Engaged! Katrina and Demetrius Got Married!